Whether you have a family pet, love your neighbor’s dogs, or just enjoy bringing your family to the farm to see the baby animals in the spring, fostering a love for animals in your child may be a part of your family’s life. What you may not know is that in addition to bringing your children fun and happiness, teaching them to love and care for animals helps them to develop empathy, consideration, and respect as they grow into adults. 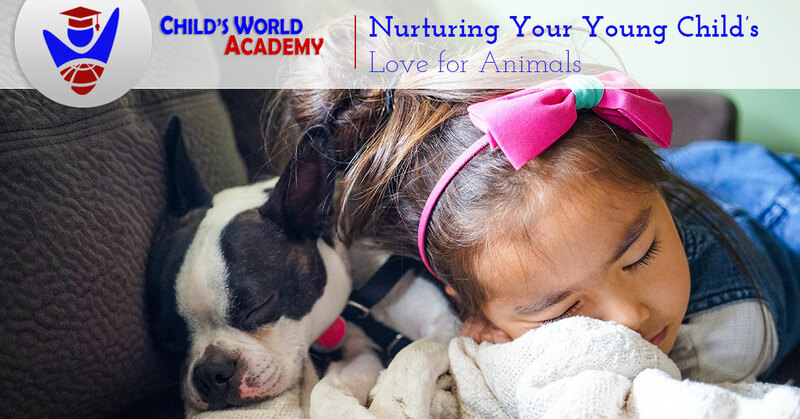 Here are some practices to consider as you nurture a love for animals in your little ones. Teach respect. Many domesticated animals love to be in the company of children, but children must learn to treat animals with respect, by playing with them gently, giving them space when they feel overwhelmed, and refraining from chasing them or doing anything that causes harm. Let them play a part. Your kids can help to take care of your family pet, whether they pour food or water into their bowls each day, brush them, or help you to bathe them. 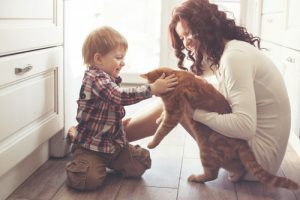 Showing them that animals need care and attention and that their humans are in charge of making sure their needs are met regularly, is a way to help your children develop a sense of responsibility. Model kindness toward animals. Show your children that you value animals’ safety and comfort by treating your own pets with patience and love. You may want to make sure that your children see you being affectionate with animals, taking care of them, and speaking to animals in a kind and loving manner. Make sure the media you consume is friendly toward animals. Reading books such as Charlotte’s Web, Black Beauty, Blueberries for Sal, and Make Way for Ducklings can help your children to look at animals with respect. Similarly, watching television shows and movies like Babe, Finding Nemo, and The Lion King can send positive messages about the dignity and welfare of animals. If you don’t have a family pet, but your children would like more exposure to animals, consider volunteering at shelters, which often need loving humans to socialize kittens and cats, and to take dogs for walks. Children who learn to love animals, whether they are a beloved family pet, characters from well-worn books, or animals they encounter at friends’ or neighbors’ homes or a local shelter, will learn a tremendous amount about respect, kindness, and generosity. Encouraging positive relationships between your children and animals will imbue your kids with qualities that will last a lifetime. If your child is showing strong interests with caring for animals and other unique hobbies, it’s important for them to be in the right environment to nurture those curiosities. 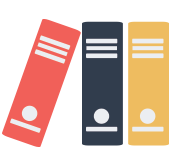 Child’s World Academy has the best curriculum for your child to grow into a smart individual. 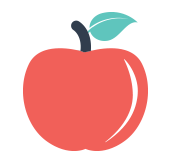 Schedule a tour of our Monroe child care center today!